The Eleutian TeachCast Platform is an innovative new online learning platform created by Eleutian Technology to teach English to students around the world. The Eleutian TeachCast platform incorporates a custom LMS into five web portals (Administration Portal, Teacher Portal, Student Portal, Client & Partner Portal, and API Platform) to manage all of your needs. 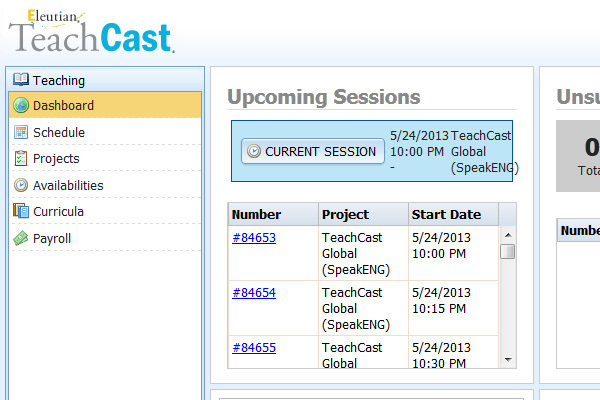 If you'd like to use the Eleutian TeachCast platform, contact us. The EleutianTeachCast Administration Portal allows you to manage all aspects of your business with scalable operational tools such as financial reporting, partner, client, and student management, curricula, lesson and session correlation, and file management. Manage your teacher base with the Eleutian TeachCast platform from recruitment, training, scheduling, quality control all the way through payroll. Interactive self-study modules with unlimited activity review that enables anytime, anywhere learning. 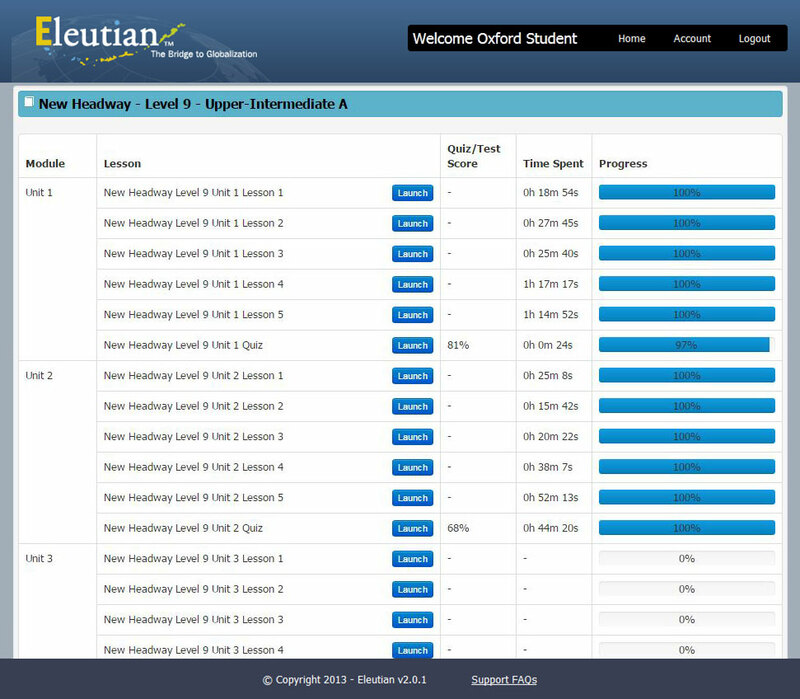 The Eleutian TeachCast Platform’s progress tracking and LMS functionality allow students to assess improvement on an individual basis. 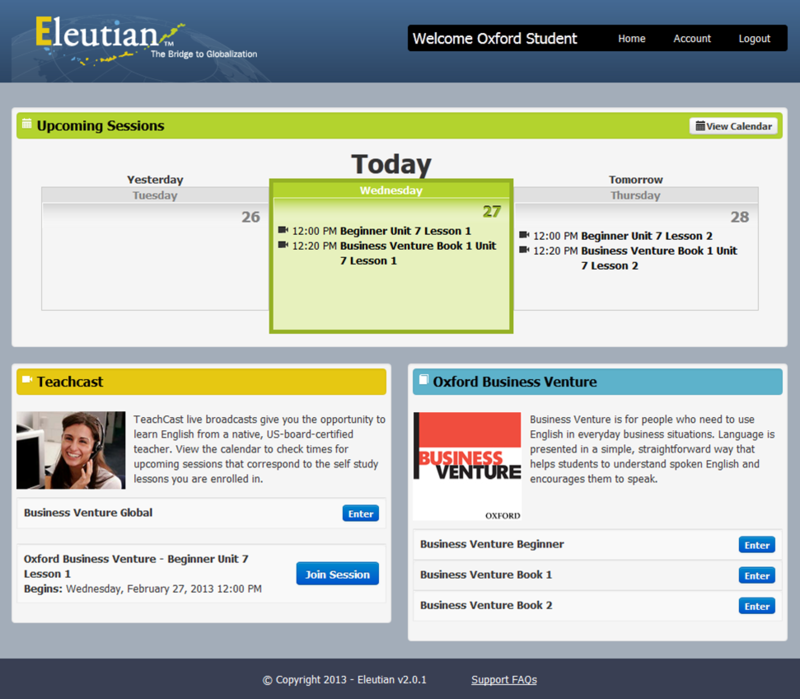 The Eleutian TeachCast Platform uses the latest technology to ensure student security and privacy. Local language menus can easily be provided for most languages. 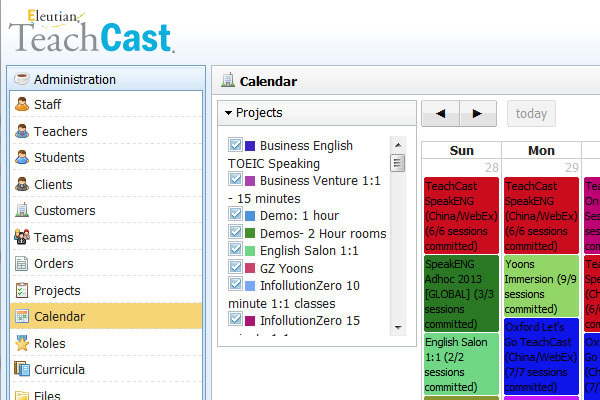 The Eleutian TeachCast Platform is used by schools around the world to teach English quickly and efficiently. If you would like to take advantage of everything the Eleutian TeachCast Platform has to offer, please contact us!